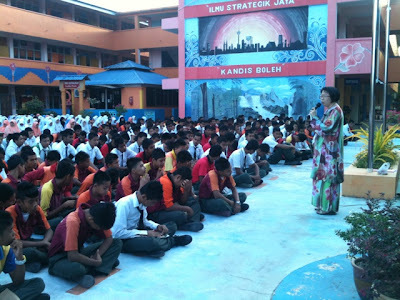 To relate the Pusat Sumber Sekolah with the students, the library teachers and also the Head of School Resource Centre, Nur Syahira Sudin gave a short briefing to all the students in SMK Kandis. The briefing is to inform students of important terms concerning the library. Among the terms that should be familiar to students are encyclopedia, atlas, almanac, bibliography and more. Some of the students were listening attentively and were writing in their note book for future reference. Too bad, others were merely looking ahead blankly with no book in hand in case they forget what has been said. 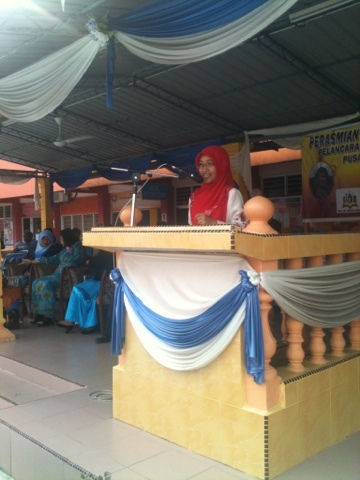 SMK Kandis has been chosen for Anugerah Pusat Sumber Sekolah Cemerlang Peringkat Kebangsaan. In order to make heads or tails of our school's nomination which qualify us to represent the state of Kelantan, the Principal, Hjh Normah Bt Salleh, the AJK of Pusat Sumber Sekolah and 13 librarians made a visit to SMK Zainab (1). 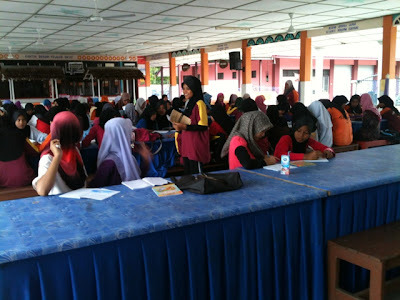 SMK Zainab (1) won last year's Anugerah Pusat Sumber Sekolah Cemerlang so SMK Kandis could learn so many things from a 'sifu' such as SMKZ (1) which is a cluster school and well-known for its outstanding accomplishments in all aspects. Overall, the visit, albeit short, was a sweet and memorable one, especially for the blogger, since it was my old high school. 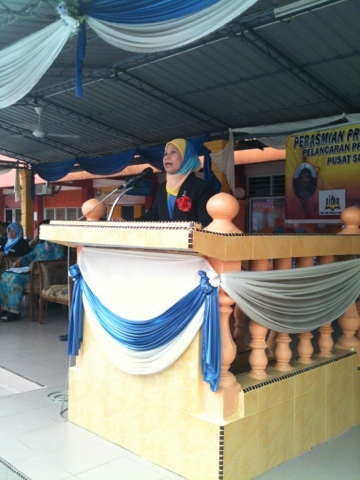 The Guru Pustaka dan Media at SMKZ (1), Pn Nik Elida Nik Omar, was my old English teacher and the Senior Assistant of Administration, Pn Wan Marina was my old Add-Math teacher. A walk down memory lane, indeed! Although today was raining, the NILAM programme still went on for boys from Form 1-3. 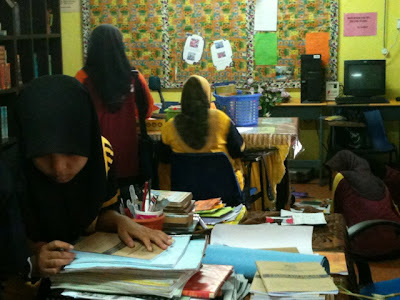 After much needed explanation, they got the hang of it and enthusiastically completed their reading and documenting their read books inside their very own Buku Rekod Bacaan NILAM. Of course, Cik Norbahira, Hjh Zaini, Pn Che Asmah, Pn Azitawati and Pn Wan Nurul Arifah supervised the session at the school canteen while Pn Hjh Norlina and Cik Siti Aisyah conducted the session in the MBMMBI Room. The NILAM programme will be a continuous event, Insya Allah with the help of the teachers and the cooperation of the students. came to SMK Kandis for program NILAM as part of the preparation for Anugerah Pusat Sumber Sekolah Peringkat Kebangsaan. Overall, the session involving female students from form 1-3 and both female and male students Form 4S, 4C, 5C and 5K went well. 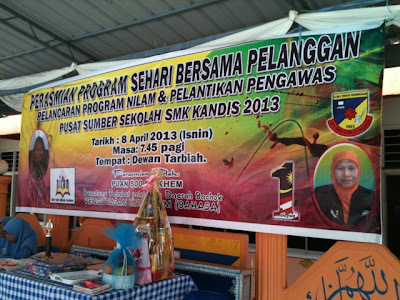 The students' Buku Rekod Bacaan NILAM were sponsored by SMK Kandis under En Wan Aziz. 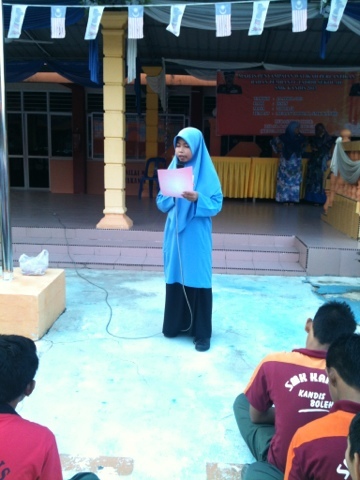 Hopefully the spirit of NILAM will continue amongst these students. 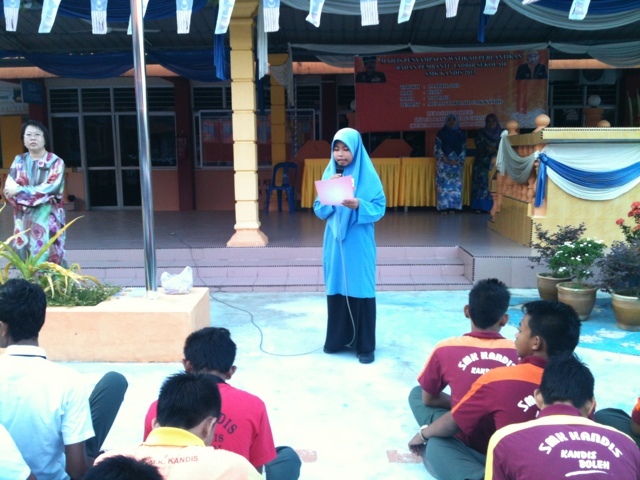 On Monday, April 8th, the said event was held to widen students' awareness of the Pusat Sumber Sekolah and its links. 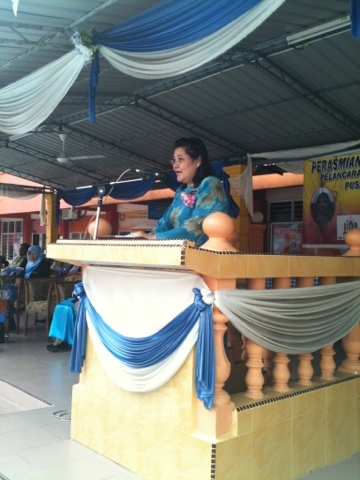 Madam Soo Ah Khem officiated the event and talked at length about the importance of reading. 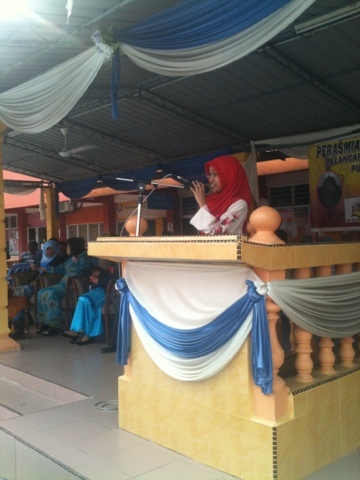 Tokoh NILAM Negeri Kelantan 2012, Cik Nur Amalini Bt Ismail also gave her speech and shared her experience and journey of becoming a Tokoh NILAM. It was an insightful and fascinating speech. 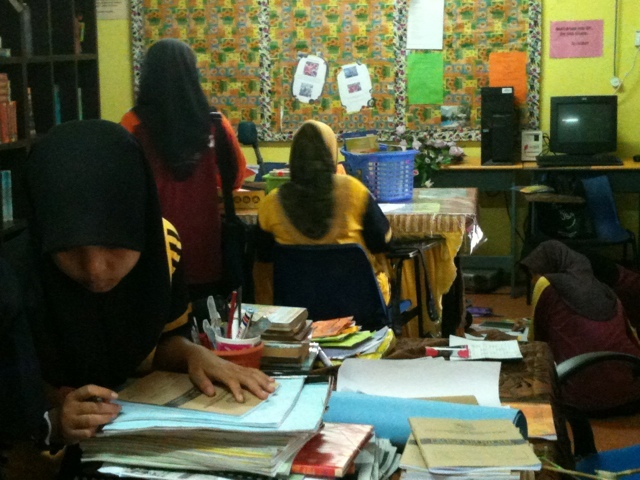 Hopefully, students shall learn a thing or two about using the Pusat Sumber Sekolah for their reference.